The outlook for retailers have changed dramatically over the last few decades. This sector of the economy has shifted from a cash-driven, supply-driven industry to one that is very digitally-focused. The Internet has transformed retail. Where competition is most intense, innovation and market disruption are ongoing. By David H. Deans, 22 March 2017, 0 comments. Categories: IoT, Networks. The Mobile World Congress, situated in the beautiful city of Barcelona, is one of the most anticipated events in the year. This year it was the largest ever MWC, with 108,000 attendees, from 208 countries and a record breaking 3000 exhibitors across the enormous Fira Gran Via exhibition centre. By Dan Cunliffe, 21 March 2017, 0 comments. Categories: IoT, Networks, Operators, Smartphones. Orange has announced plans to advance its LTE-M strategy this year in preparation to support a wide range of IoT devices. The operator will focus its LTE-M efforts in Europe initially and will begin the roll-out this year in Belgium and Spain before expanding across the rest of the company’s European footprint. At the end of last year, KPN claimed the first to start testing LTE-M in Europe, but Orange is on track to become the first commercially-available network. By Ryan Daws, 27 February 2017, 0 comments. 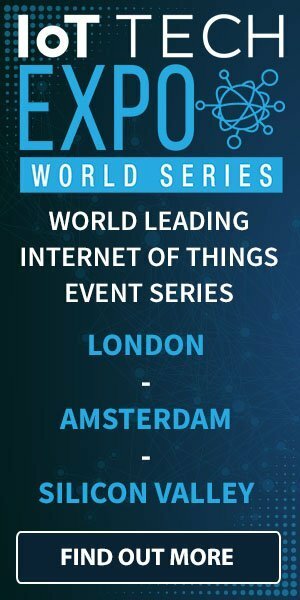 Categories: Connectivity, Industry, IoT, LTE, Networks, Operators, Smart Cities. Since the rise of the smartphone, the term 'smart' may simply mean that a device has on-board wireless internet connectivity. Therefore, a smart home is one that is designed to deliver or distribute digital services, through a range of networked devices. Smart home automation and monitoring devices will grow to over 770 million globally by 2021, representing an eleven-fold rise from just 68 million estimated in 2016, according to the latest market study by Juniper Research. By David H. Deans, 22 February 2017, 0 comments. Categories: IoT, M2M. Verizon is looking to reposition its brand into a leading tech company, and the operator has poached Apple’s global creative director to aid the transition. By Ryan Daws, 21 February 2017, 0 comments. Categories: Consumers, Industry, IoT, Mobile, Operators. As the array of mobile services and delivery devices continues to evolve, mobile network operator competition has intensified. With many over-the-top players now providing popular alternatives to texting and voice calls, telecom service provider core revenues are eroding. By David H. Deans, 17 February 2017, 0 comments. Categories: Big Data, IoT, Operators. By Bengt Nordstrom, 16 February 2017, 0 comments. Categories: IoT, Operators. Telcos, vendors, and IT companies are partnering up to form the IoT Cybersecurity Alliance and help ensure devices are protected from growing threats. By Ryan Daws, 09 February 2017, 0 comments. Categories: Consumers, IoT, Security. It’s a theme which is as old as the hills. Can telcos, not traditionally renowned for their speed and flexibility, keep up with new and innovative technologies? According to a new piece of research from KPMG, the answer is: sort of. By James Bourne, 02 February 2017, 0 comments. Categories: IoT, Operators, OTT Services, Research. The progress in technologies such as artificial intelligence, the Internet of Things, cloud computing, robotics and intelligent mobility have set the stage for cognitive or sentient tools to emerge onto the global market. These tools are aware of and can learn from their surroundings and users, and mark the next step in the evolution of computational systems, according to the latest worldwide market study by Frost & Sullivan. By David H. Deans, 02 February 2017, 0 comments. Categories: IoT, Mobile, Smart Cities.